Since time immemorial, trees and forests have been credited with reversing the impact of land degradation, provision of food, energy and income as well as enabling communities to achieve long-term economic and environmental sustainability. This is besides giving other environmental benefits like filtering the air to help stave off the effects of climate change. These have also traditionally provided habitats from which people hunt animals and insects and gather plants and innumerable organic materials. Forest plants are used as building materials, medicine, food, oils, perfumes, pigments, dyes, gums and resins. Insects are gathered as protein sources and are used for natural pest control. Animals are hunted for their meat, hides, feathers, furs and for ceremonial purposes. Access to forest resources permits the development of methods to allow for income generation, which decreases dependency on state-supported assistance programmes. Basically, forests are an indispensable component in the fight against hunger, as their presence has a directive effect on the general weather patterns. But a lot has happened and many trees have been lost either to natural or human inspired causes. Forestry Commission (FC) has taken the prerogative to lead the charge to replace the trees through numerous tree planting programmes every year. Tree planting is important because of the benefits that we get from the trees. The national tree planting day is the Forestry Commission’s flagship event for the programme. Through its programmes, Forestry Commission contributes to national socio-economic development through regulation and capacity enhancement in the utilization and management of the country’s forest resources. Amid the challenges the country is facing owing to the loss of our forests due to different factors, tree-planting remains the primary response to the dire situation and is one of the easiest ways through which we can reverse the losses we are experiencing every year. It is an activity in which everyone can participate. 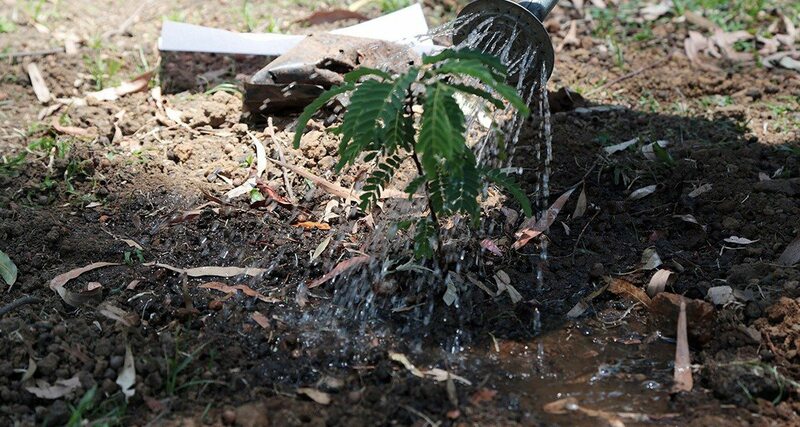 Every year tree planting campaigns are scheduled to coincide with the rainy season, which provides good weather conditions for extensive tree planting because of the natural moisture that will be available and over the years, tree planting occasions have become part of every community’s calendar with different groups of people participating in local events. Knowledge on how our forests and forest resources can provide livelihoods is what the Forestry Commission intends to impart to communities because it is only when people realise and appreciate the value of a resource that they learn to co-exist with it, conserve it and sustainably utilize it. Beekeeping has become an essential approach to sustainable forest management in Zimbabwe. Trees provide pollen and nectar that is the basic ingredient for honey making therefore forest proliferation ensures a significant harvest of honey. The practice adds value to our forests like any other non – timber forest produce such as mushroom, broom grass, edible insects, fruits and eco tourism services. In Manicaland province, beekeeping has contributed immensely to the socio – economic development of the smallholder farmers by contributing directly to household income. As a conservation strategy farmers have come to realise that conserving forests ensures a continuity in accruing benefits from beekeeping projects. Forests provide shelter and forage for bees that is the more forest cover the greater the honey the farmer can harvest. Beekeeping provides a variety of products such as beeswax and honey that have an array of uses. Proceeds from beekeeping can be channeled to finance other agricultural activities on the farm. The most direct way in which Forests and trees contribute to food security is through contributions to diets and nutrition. Plants, animals and insects found in forests provide important nutrient rich supplements for rural households. In Matabeleland South Province Amacimbi, form the basis of a multi-million dollar trade in edible insects, providing a livelihood for many harvesters, traders and their families. The mopane worm (Imbrassia belina) is probably the most important insect in Southern Africa from a cultural point of view. 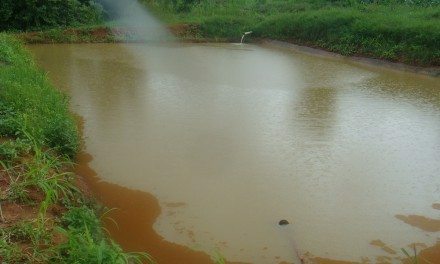 The rural farmers rely on natural outbreaks of Amacimbi. However, these do not occur every year and may be absent from some areas for many years. It is during these years that Amacimbi farming become the most benefit to the local people. This is a household scale semi-domestication farming system being implemented with the prospect of making Amacimbi harvests more reliable, both as a subsistence crop and as a source of income. Some research was done by the Forestry Commission together with other organisations like the University of Zimbabwe and SAFIRE on this project. 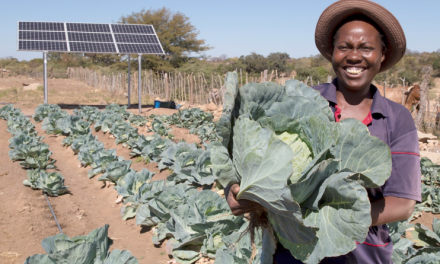 Building upon the research results a number of Amacimbi farming projects were established in Matobo and Gwanda and Bulilima districts. 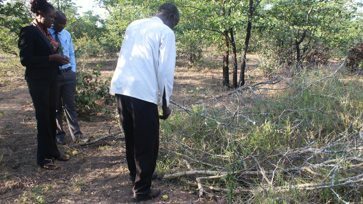 The main role of the Forestry Commission in the Amacimbi project is to ensure that there is enhanced capacity of the communities to manage mopane woodlands and other natural resources, and that Amacimbi harvesters in communities develop and practise sustainable harvesting and processing of amacimbi. Mashonaland Central and West have had to contend with challenges of major deforestation to feed the tobacco growing sector but now they have turned this challenge into an opportunity for extensive tree planting. In Mashonaland Central province, for instance, a lot of farmers are benefitting from seedling production and tree planting. In the province’s Bindura district there is a farmer running a nursery project codenamed Green Forest Nursery in the village of Manhenga. The farmer is into budding and grafting of fruit trees. He sells his trees in different parts of the country. From the proceeds, he together with other farmers like him are able to school fees and buy food for their families thereby enhancing their living standards in the process. The nursery was established in 2005. The Tobacco Wood Energy Program (TWEP) launched by Forestry Commission in 2004 has also created opportunities for farmers to raise seedlings for sale, for instance in Shamva district, farmers are raising a lot of gum seedlings, selling them to companies such as Sustainable Afforestation Association (SAA). The community projects in Shamva – Chiororo Village have been very successful since they have money to pay school fees and buy food. SAA is also employing locals where they are establishing plantations such as in Bindura, Mazowe and Mt Darwin districts thus creating employment from the TWEP programme. The reality was, and is, that non-timber forest products contribute enormously to the livelihoods of rural people. Forestry Commission initiated forest resource sharing programmes in Mafungabusi forest in Midlands and shared forest management in Gwaai/Bembesi forests in Matabeleland North province with forest-adjacent communities. The purpose of the new approaches to forest management is to improve local peoples’ livelihoods while ensuring that the forests are well conserved. These programmes have formalised access to collectively agreed forest products. These products are consumed directly or are marketed for income generation. Forestry Commission stands on its belief that money does grow on trees and along the way, many people have also come to believe the same as they have benefited tremendously from forests and forest-based products.